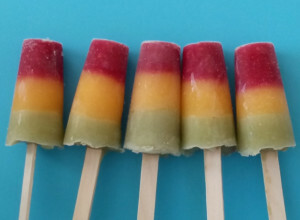 Pop Cycle lollies are all natural ice lollies full of fresh jucy fruit. They are made in small batches with no artificial ingredients or preservatives, and usually sweetened with just a little agave syrup. All our lollies are vegan and contain no gluten. We have lots of exciting flavours to suit all tastebuds. We like experimenting with new flavours but also stick with some favourites like the ‘Mango Mule’. Flavours range from the seasonal ‘Toffee Apple’ made in Autumn with British apples, the local ‘Beetroot Bisou’ made with Gower beetroot, to the tropical Pina Colada (Virgin). 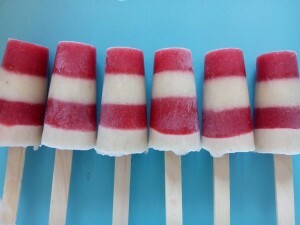 Fairtrade ingredients are used, like in our very popular Banana and Strawberry Stripe. We have a range of no added sugar lollies too made with just fruit, like the Traffic Light designed by kids, or the Pina Colada Virgin, popular with weaning babies. All fruit peels are composted and we currently use biodegradable clear bags or paper bags which can go into normal waste with the wooden sticks. 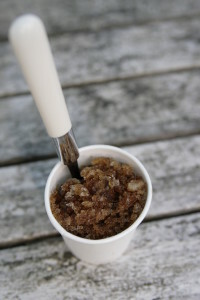 Granitas are also made in summer. Originally from Sicily, it is a bit like a real fruit slush. I think we have nailed Fair trade coffee, strawberry and blueberry & lime.